The holidays and cold weather call for comfort food and family traditions. When I was a little girl, one of my fondest memories was when my Nana made a big batch of her delicious Capirotada ( a traditional Mexican Bread Pudding). To this day, the smell of the cinnamon and cloves take me back to some great childhood memories. With the holidays coming, I often find myself nostalgic and wanting to recreate parts of my childhood for my children. My Nana was a fantastic cook, everything she made was delicious. I remember watching her make her Capirotada, but like most kids, I never really paid much attention to the details. She never wrote down her recipes, she just had them in her head. It was always a little of this, a dash of that and a pinch of this. Never any measurements, everything was eyeballed and estimated and always perfect. Now that I am a wife and mother, I regret not spending more time with her in the kitchen to memorialize her wonderful culinary talents. She passed a few years ago and most of her wonderful traditional Mexican recipes went with her. Luckily, my Mom knows how to make some of my favorite recipes, so with her help, I re-created my Nana’s recipe with a few alterations of my own. 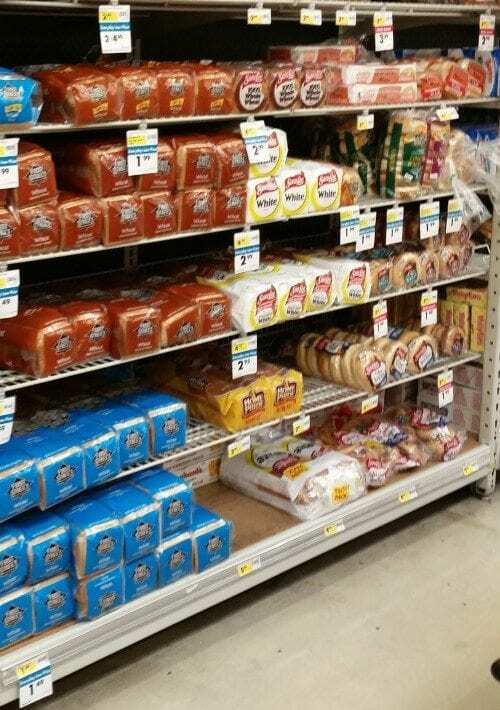 To start, I headed to one of my favorite stores, Smart & Final for the ingredients. Smart & Final is one of my favorite places to shop because it’s a one-stop shop of everything from produce to meats. Smart & Final carries warehouse size items without a club fee, making shopping easy, less expensive and less daunting to shop in than a big warehouse store. Perfect for the many parties and events I plan throughout the year. Smart & Final also has a great selection of items for Mexican Cuisine, which was perfect for this recipe. The great thing about Capirotada is that it can be made in various ways, all depending on what you have on hand and what you like. My Nana always used a Mild Cheddar cheese and any bread she had on hand. I have seen it made with Bolillo bread or French Bread and Monterrey Jack cheese, I decided to make something a little different. 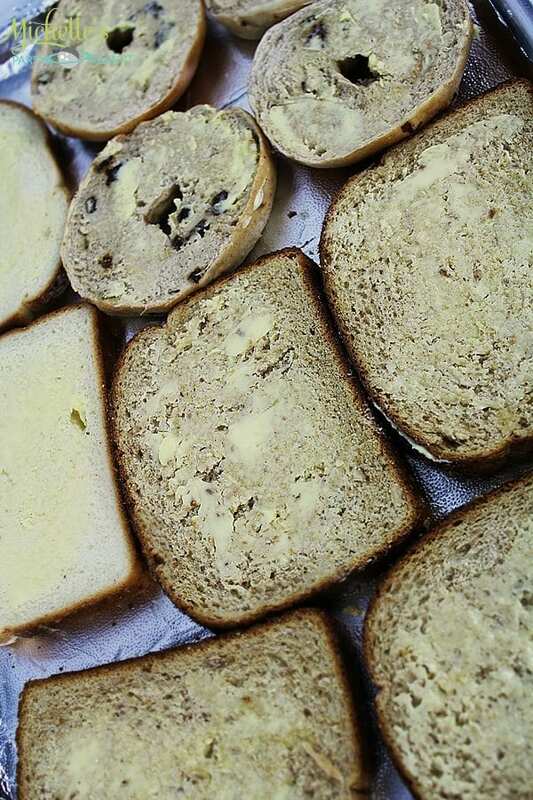 I chose to use a combination of Honey Wheat Berry Bread, Cinnamon Raisin Bagels (for added texture) and Buttermilk Bread along with a Mild Cheddar cheese, like my Nana used. Since my husband loves anything with a crunch, I decided to grab some French Vanilla Granola to sprinkle on the top for a crunchy layer. BTW Smart & Final is having a First Street/Movie promotion on their First Street brand items (I’ll share the details below). 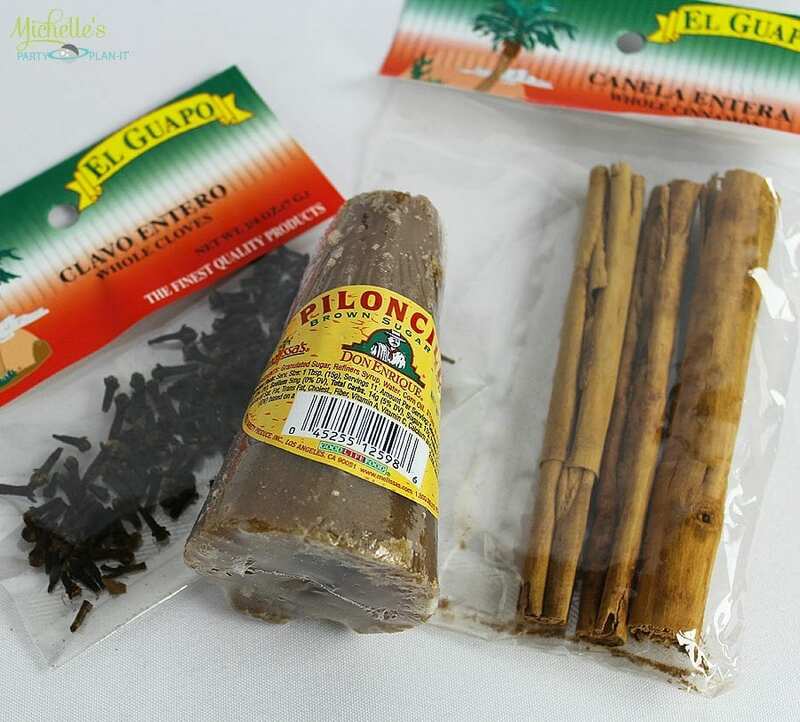 Although you have freedom when it comes to the bread you use, Piloncillo (Mexican Brown Sugar), Canela (Cinnamon) and Clavos (whole cloves) are a must for this traditional dessert. 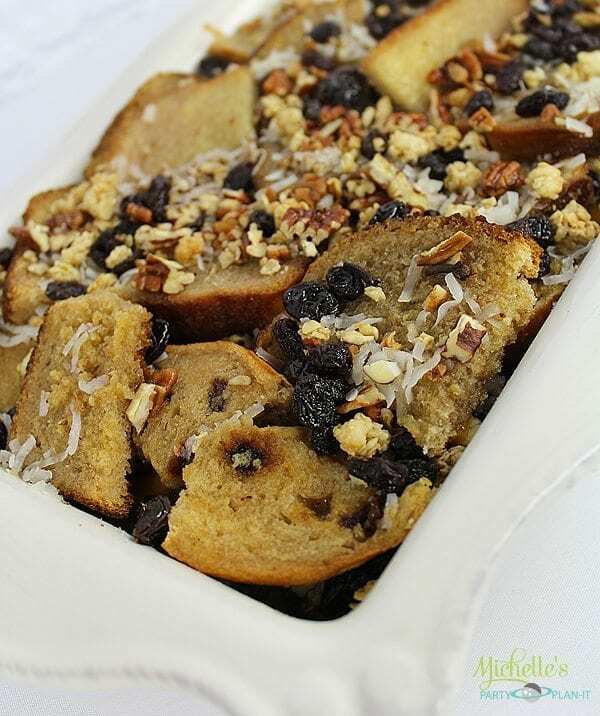 You can also add any type of fruit and nuts you want to the bread pudding. 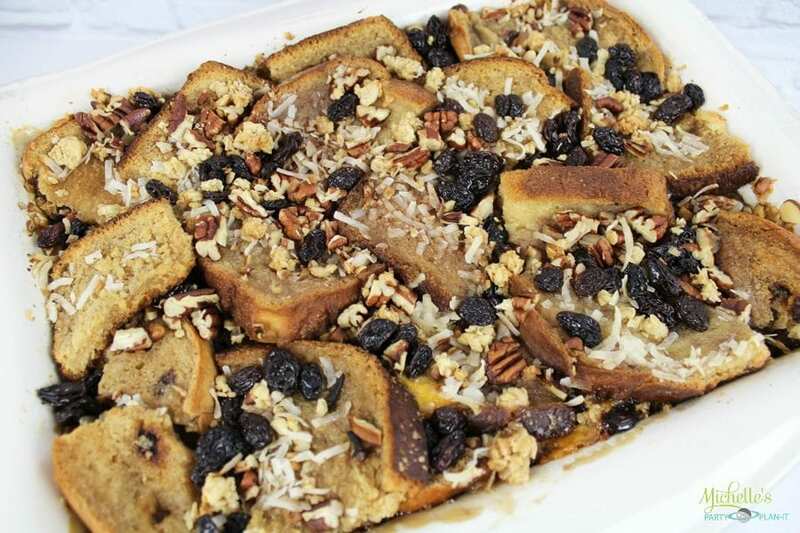 I used raisins, pecans and coconut in this recipe, all of which I already had in my pantry. 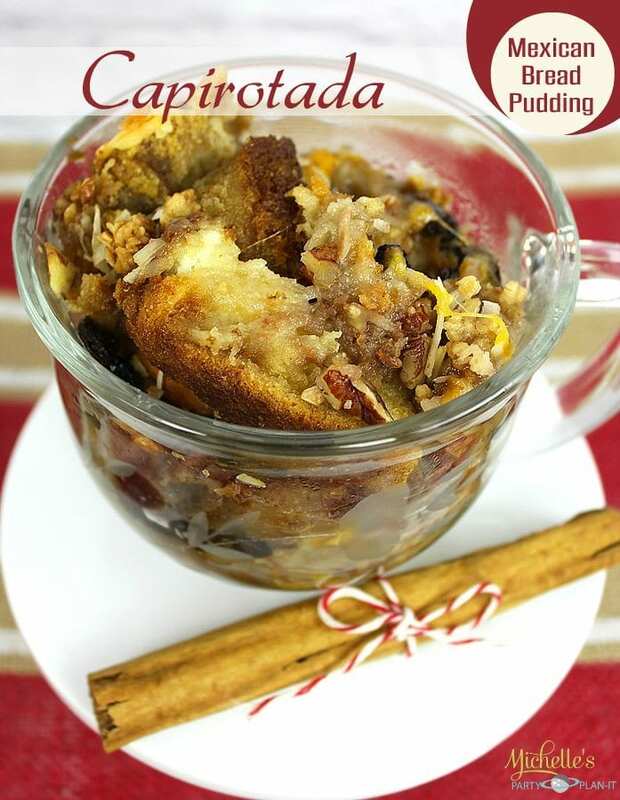 Capirotada is a tradional Mexican Bread Pudding made frequently around the holidays, but can be made year-round. Butter both sides of the bread and place in oven for 15 mins, flipping halfway. For the syrup, In a large saucepan melt the piloncillo in the water with the cinnamon and cloves. Bring to a boil. Add a layer of bread, raisins, coconut and cheese. Repeat. Top with pecans, coconut and granola. Ladle syrup on top of the bread until thoroughly saturated. Let sit for 10 mins, serve warm. Can also be enjoyed cold or reheated. Butter both sides of the bread and place in the oven for 15 minute at 375 degrees. Flip halfway. Once toasted, let cool. 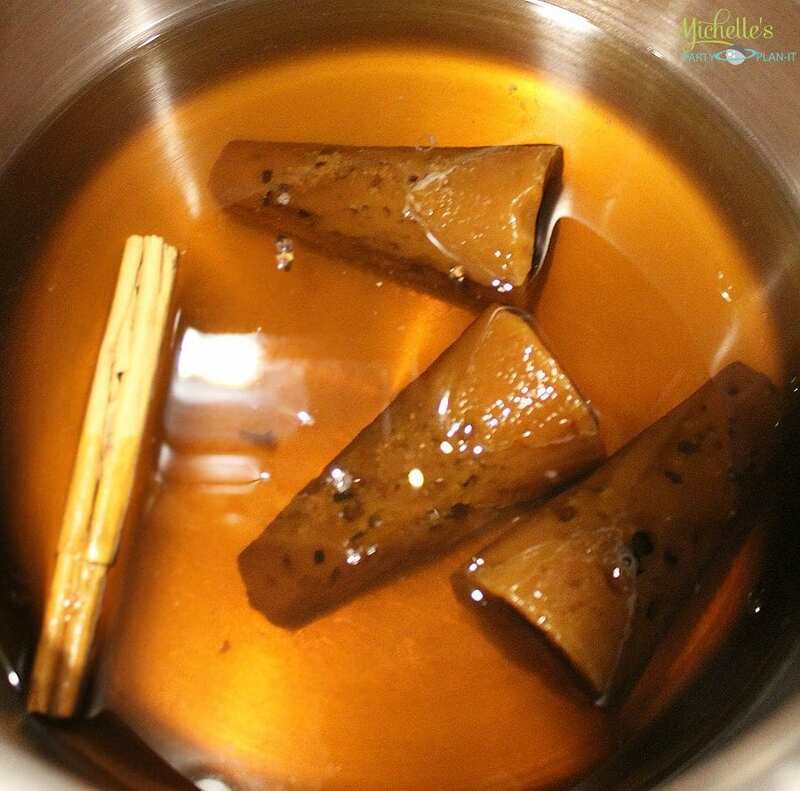 In a large saucepan, melt the piloncillo in water with cinnamon sticks and cloves. Butter a large casserole dish and cut bread into squares. 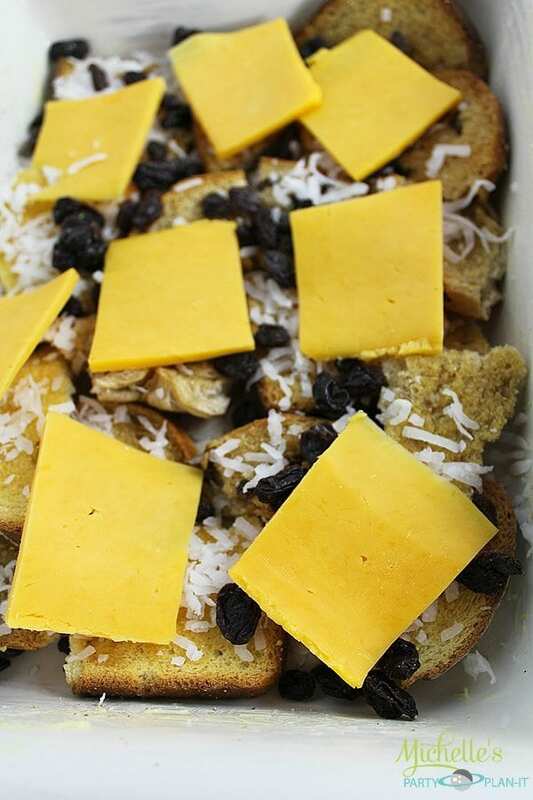 Line the bottom of the casserole dish with one layer of bread, sprinkle raisins and coconut. Layer sliced cheese. Repeat this process to fill the dish. Sprinkle pecans, granola and remaining raisins and coconut on top of final layer. Ladle syrup on top until bread is thoroughly saturated. Cover and bake in the oven at 375 degrees for 30 minutes. Let stand for 10 minutes then serve warm. You can also enjoy it cold and it reheats wonderfully! And that’s it! You have a delicious traditional holiday dessert! 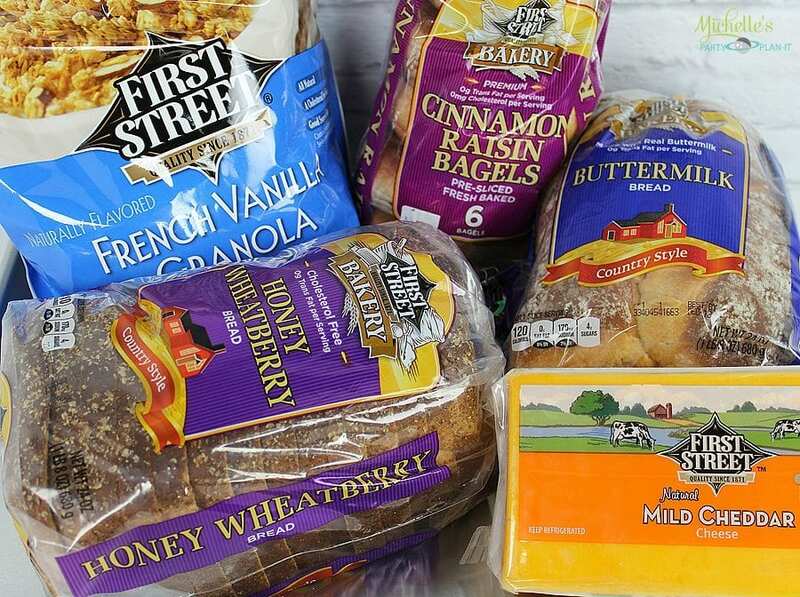 Smart & Final has a large variety of breads as well as many items for your Holiday cooking and party planning! If you plan on making this recipe soon, I encourage you to head to Smart & Final to take advantage of their December Promotion. Buy any 4 participating First Street items and receive a Hollywood Movie Money Certificate ($10 value) to see the movie Night at the Museum: Secret of the Tomb. When you purchase any 4 participating First Street items a unique code will print on your receipt. Visit us at www.activaterewards.com/SFMuseum3 and enter your 13 digit code to claim your Hollywood Movie Money Certificate, valid for up to $10 to see the movie. In-store offer valid December 3 – December 16, or while supplies last. Limit 1 per person. This looks fabulous!!! Yum, Yum!!!!! This looks SO delicious – thanks for sharing a yummy recipe. What a delicious looking recipe! I love trying recipes of different cultures adding this to my list. I bake and cook like your Nana I have very few recipes written down most in my head I have never measured when I cook or bake either I think I learned from watching my Grandmother in Scotland. Thanks for sharing a wonderful memory. That looks yummy Michelle! I love bread pudding! This sounds amazing! Thank you for linking up to Party Time and we hope to see you again next week! My family loves anything bread pudding–I really love a cultural twist on anything, so can’t wait to try this!! I’ve always loved bread pudding. This is a new type of bread pudding for me. Thank you for giving me a starting point! I made it and it came out very well! Grandma Teodora would be proud! See Michelle’s top Christmas recipes, Cricut projects, tree decor ideas, and free printables.